Kieran Lampard (47) and Chriss Timms (62) put on 107 for the opening stand, but three apiece from Richard Bryce and Chris Collings rolled out the rest of the New Bradwell side for 138. In reply, North Crawley eased to 140-5 to remain on top of the table. 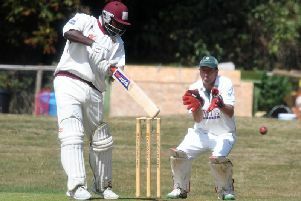 Milton Keynes remain hot on their heels after a seven wicket win over Great Horwood. Usman Iftikar took 3-44 as Horwood set 164-8, and Nimesh Chavda (68) led MK (166-3) to the win. New City edged away from the 4CCL Division 1 relegation zone despite losing on Saturday to Elstow. 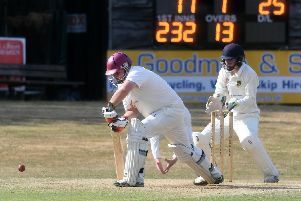 With their relegation rivals losing heavily, New City’s 24 run defeat moved them away from the bottom three and above Eaton Bray who didn’t play. Chasing down Elstow’s 232-5 was always a big ask, but Mihir Choksi hit 48 as City came close but were all out for 208.